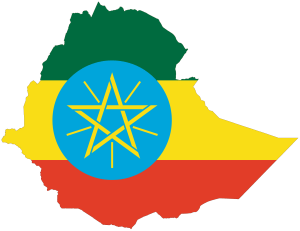 Here is a comprehensive list of the top scholarships available to Ethiopians for 2017 and 2018. If you would like to study in the US there are several excellent options, the best of these being schools that offer need-blind admissions. I have written more about this in Step # 4 – click here to read the whole post – http://internationalscholarships.ca/international-scholarships-step-four/. Basically, if you can get admission to these schools then your tuition will be adjusted based on your family income and for international students with comparatively low-income, your tuition would be paid. Several schools offer this program. The best of these is Brown University, which has a special fund to assist with this called their “Advancing Africa Fund”. This includes tuition cost, two round trip air tickets, and a monthly stipend. This is an excellent but highly competitive opportunity. Students from Sub-Saharan countries who apply for financial aid are automatically considered for this scholarship. Here are some of the other requirements and benefits. The recipients will be asked to sign a pledge to return to full-time residency in Africa for a period of at least 2 years upon completion of undergraduate studies Brown. During their undergraduate studies at Brown, recipients shall be entitled to two return trips paid through the Fund. Also, upon return to Africa, recipients will be given a monthly stipend for 2 years to ensure a higher standard of living and to ease their transition. This university is located in Toronto, Canada and provides excellent scholarship opportunities for international students. Follow the link above to see the different options. The best option for the international student is the “International Entrance Scholarship”, which gives the recipient $35,000 per year for 4 years. In order to qualify, you must have outstanding academic performance, have shown your leadership potential in different roles and submit various letters of recommendation. If you think this description fits you and you would like to pursue an undergraduate education at an excellent school, follow the link above to learn more. Anyone who applies for this scholarship will automatically be considered for other international scholarships. There are two other excellent scholarships in Canada that we recommend – these are at University of Trentand University of British Columbia (UBC). The MasterCard Foundation has collaborated with RUFORUM to transform African agricultural universities into institutions that produce graduates who are able to respond to development challenges. Recipients of this scholarship are trained in the enhanced application of science, technology, business, and innovation in order to change the practices of rural agriculture. This scholarship covers tuition fees, travel to and from the university (by air), research costs, living expenses, and many other benefits. This is the ideal scholarship for economically disadvantaged students who are committed to the transformation of their communities. Studies can be undertaken either at Egerton University in Kenya, or Gulu University in Uganda. Benefits of this scholarship include a full tuition fee waiver, accommodation, living expenses, and flights to and from London. There are four types of scholarships, namely Academic Excellence Scholarships (including the Academic Achievement Scholarship for new students), Sports Scholarships, Financial Hardship Scholarships and Special Needs Scholarships. The VLIR-UOS program fosters academic cooperation between institutions of higher learning in Flanders, Belgium and those in developing countries. The scholarships are designed to equip graduates with the skills needed to assume positions of responsibility in their home countries. The Master’s programs are taught in English and last either one year or two years. Benefits include a full tuition fee waiver, as well as monthly, accommodation and family allowances. This is a great opportunity to experience the Flemish culture as you study! New Zealand Development Scholarships give students from targeted countries the opportunity to pursue development-related studies. Recipients of this scholarship receive a full tuition scholarship, an air ticket for travel at the beginning and end of the scholarship, a fortnightly living allowance and an establishment allowance. Studies are undertaken either at universities in New Zealand, or participating Pacific Universities. Partners of students are eligible for a work visa that allows them to live and work in New Zealand for the duration of the course. This scholarship was set up to aid students who are facing challenges raising fees for further study as a result of financial hardship. Applicants from developing countries experiencing war, natural disasters, and political unrest are more likely to get this scholarship. OFID (OPEC Fund for International Development) sponsors outstanding young students from developing countries who are unable to raise funds for their graduate studies. Applicants are required to obtain admission to a master’s program in a relevant field of development before applying for this scholarship. This great scholarship applies to courses offered by any recognized university in the world. This opportunity is only open to students from countries that are not OPEC member countries. The DAAD (German Academic Exchange Service), in conjunction with the University of Western Cape, offers talented students the opportunity to be transformed into development-minded leaders. Successful recipients of this scholarship will be based at the African Excellence Centre at UWC. This generous scholarship gives recipients a monthly allowance of €650 for Masters candidates and €900 for PhD candidates. The allowance also includes travel allowances.